Thomas Jessing (4-4-1) returned to cage and lost at Caged Steel FC 22 to face Rico Franco (7-4) last Saturday. “First of all it was amazing to be back. Had trouble for almost two years getting any fights, and also a surgery earlier this year kept me out a couple of months leading up to summertime. But luckily I got this fight, a fight many didn’t want. And I always want to fight more experienced fighters with more wins than me. 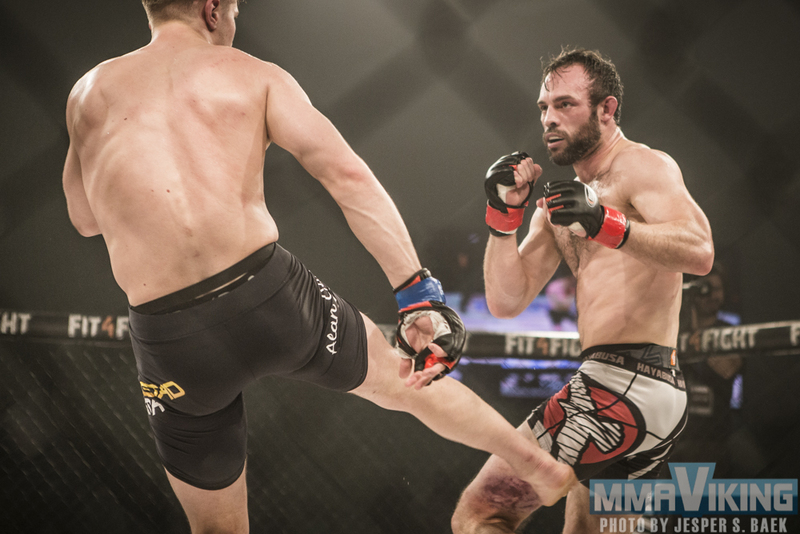 I want to be challenged.” says Jessing to MMA Viking. The Danish fighter was coming off a loss to David Jacobsson (3-2). Unfortunately this fight did not go as planned, as the fight was called off due to a doctor stoppage. Despite the result, Jessing was happy to get back in the cage and test himself after so many fight cancellations prior to this. Jessing believes something in the process before the fight is going to have to change to avoid this situation happening again. Mentioning that a possible shift upwards in weight class maybe on the cards. A congratulations was also in order to his opponent Franco, who he compared to some of the highest level fighters around.